CALN — Despite Tuesday’s violent storms and power outages, the Coatesville Area School District’s Board of Education managed to hold its meeting, albeit at a different location and time than planned. During the meeting, the district continued the reshaping of its administration, addressed facilities improvements, auditing services and technology needs. The board approved Dr. Taschner’s recommendation to appoint Mr. Robert Fisher in a newly created, administrative role: Supervisor of Campus Principals and Programming. In this new role, Mr. Fisher will oversee campus operations and mentor the new high school principal, once a candidate has been selected. “It is important to me that as we transition a high school principal that we have someone with his experience, who has been a high school principal to help guide that process,” said Taschner. Mr. Fisher will also be working with parents, teachers and industry-level professionals to develop other portions of the high school, including forming a committee with Dr. Taschner to begin conversations regarding the development of a STEM school. The number of administrators in the district will not be increasing, as this is an in-house position. During the superintendent’s report, Jeff Chambers from Chambers Associates provided an update on Reeceville Elementary’s roof project. Chambers began inspecting the roof last week in response to leaks Reeceville has been experiencing. His recommendation is to install all new copings, new flashings, and the addition of crickets (also known as slopes) to the drains. These additions are expected to prevent puddles from forming between the drains, which have contributed to the water related problems. Chambers also suggested that the damaged, wet insulation be removed and replaced with an additional 2 inches of insulation, which is ½” thicker than code requires. 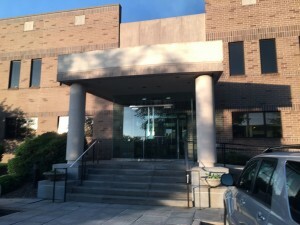 CASD Administration Building – site of the June board meeting. The remediation project will follow an aggressive schedule. Documents for submitting bids will be available in early July; with a goal of submitting the bids at the July 28 board meeting, and project work beginning shortly thereafter. In order to minimize disruption to students and teachers once school begins, the loudest work will be done before and after school hours. Quieter work will take place during school hours, except on any testing days. Dr. Taschner provided an update on the district’s technology plan. The Uninterrupted Power Supply (UPS) has been installed and is fully functioning. A new firewall has been installed and the wireless project is nearing completion. Before breaking for the summer, students, teachers and administrators were given the opportunity to test different computers, laptops and tablets and provide feedback; based on those evaluations, new laptops are being ordered for student and staff use. The board of directors was denied several requests for a free forensic audit for the district. As a result, the administration will be meeting with the large accounting firm, EisnerAmper, LLC, which has also provided other school districts with forensic auditing services. The meeting will address a phased approach and also request a new proposal for their auditing services. A phased approach would require the firm to have each phase’s results reviewed by the board; they would then proceed with the investigation, based on those results, pending board approval. The initial quote from EisnerAmper was $95,000. The school board approved the first reading of the social media policy. The district will continue to examine other districts’ social media policies and consult with the Pennsylvania School Board Association during these preliminary stages. “This is a chance for the community, the public to weigh in on this policy as well so we welcome your feedback,” stated Dean Snyder – CASD Board President. This policy will be further discussed, and changes can be made, at the policy meeting to be held July 14. David Krakower has resigned his position as Director of High Schools & Special Education for grades 6 – 12. Dr. Taschner doesnot plan to replace his position, but will reorganize the current administration with the intention that one person will be directing all special education programs for K – 12 in the district. Keith Davis, Maintenance, Energy and Custodial Manager, announced his retirement, which will be effective July 9, 2015. The district plans to secure professional services to perform management duties, as it will be cost effective for the district. Christopher Jahnke has been named as the new principal of North Brandywine Middle School, effective July 1, 2015. Dr. Taschner welcomes him to our district, congratulates him on this new position and also on the completion of his doctoral studies. Of note: The board of directors will hold two meetings in July. “In previous years, we have met maybe once in July or not at all but given the amount of forward motion in the district, we will be meeting two times in July to keep the momentum going,” said Snyder. The next committee meeting, followed by a special board meeting to approve bills payable is July 14 at 6 p.m. 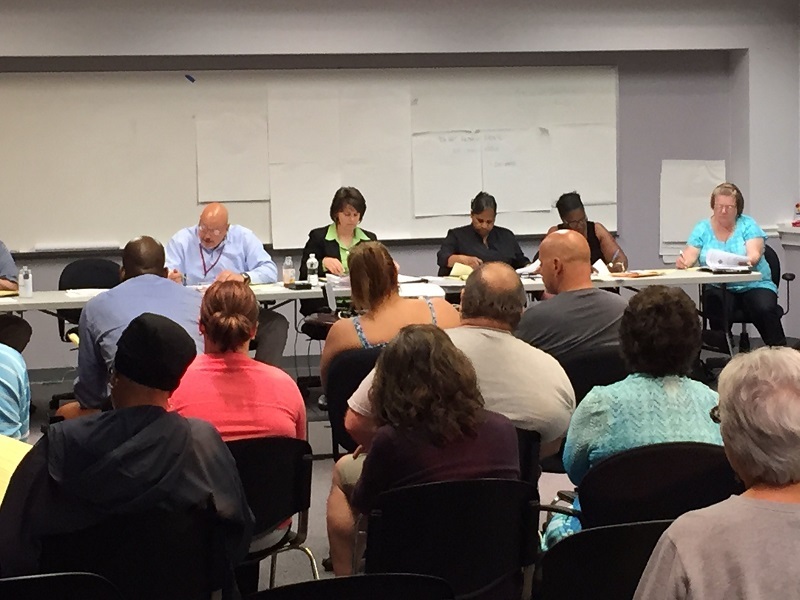 The second meeting next is a regularly scheduled board meeting to be held July 28 at 7 p.m. Both meetings will be at the 9/10 center. For more information, including board meeting minutes, visit casdschools.org.